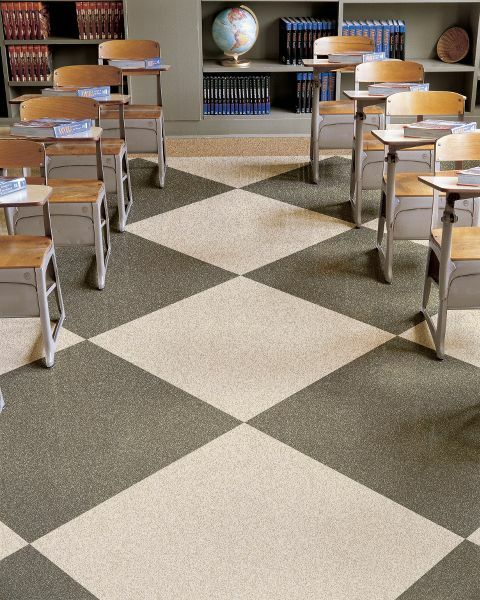 Vinyl, also known as resilient flooring, is great for high traffic areas such as schools, laundry rooms and medical spaces. Vinyl flooring is easy to maintain and its physical properties make it great for wet spaces because it is moisture resistant and soft underfoot. Due to advances in printing technology, vinyl products are increasingly more realistic looking for both hardwood and stone finishes and continue to be used in both residential and commercial spaces. We sell in-stock vinyl, VCT (Vinyl Composite Tile) and LVT (Luxury Vinyl Tile).